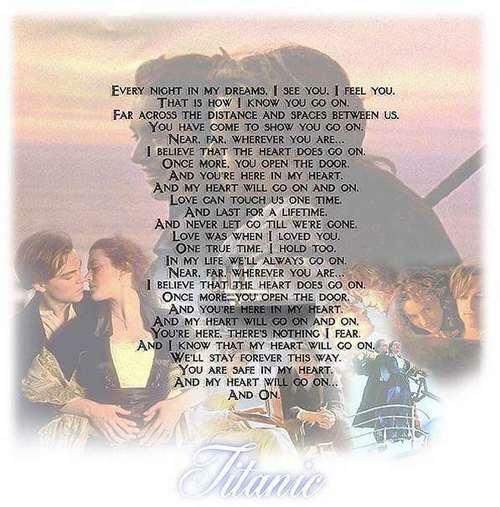 Titanic | My moyo Will Go On. . Wallpaper and background images in the Titanic club tagged: jack dawson rose dewitt bukater leonardo dicaprio kate winslet celine dion my heart will go on song. This Titanic photo might contain ishara, bango, maandishi, ubao, matini, ubao wa chokaa, wilaya ya biashara, downtown, and biashara wilaya.